Personalized Service. The most Experienced! 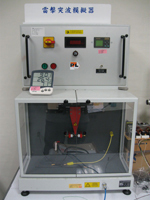 Right Power Certification Inc. is an accredited laboratory by BSMI designated no. SL2-IN/VA-T-0151 and recognized by TAF/ISO17025 laboratory no.3251. We signed a memorandum and cooperation with Chunghwa Telecom laboratory from 2005; Chunghwa Telecom laboratory is an TAF accredited laboratory and is also BSMI BSMI national accredited laboratory. The purpose is to obtain the relevant product certificate and compliance test reports accelerate. For customer service and technical support, we provide more complete service under cooperation with professional person to assist your certification apply and rapid professional advice. We simplify the procedures and make your product entering market more quickly and creating revenue. Why we should apply for BSMI? How to mark the label? What if your goods stuck in Custom? 全威驗證科技有限公司 版權所有 © 2012 Right Power Certification Inc. All Rights Reserved.